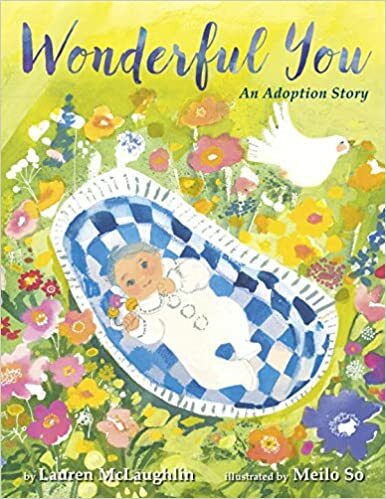 This a book about adoption. I didn’t really understand it. I know what adoption is but the book was a little too fairy tale. The birth mom seems like an angel. I did like that it was nice to know the baby was wanted by her new parents so much and that the birth mom was so focused on getting her baby a new home. The pictures were really nice. I would recommend this is to kids who have happy adoptions and open adoptions. The book also felt more for a girl than a boy too. I don’t think it is a book for kids like me who aren’t involved in adoptions. It confused me a little about adoptions. I did ask my friend and her family to also read this. She is adopted. They said it is a pretty book and does tell one type of adoption story. There are many adoption stories so this wouldn’t fit all families. They said the big positive is it is another adoption book. They don’t find many books about adoption so a new one is a good thing.